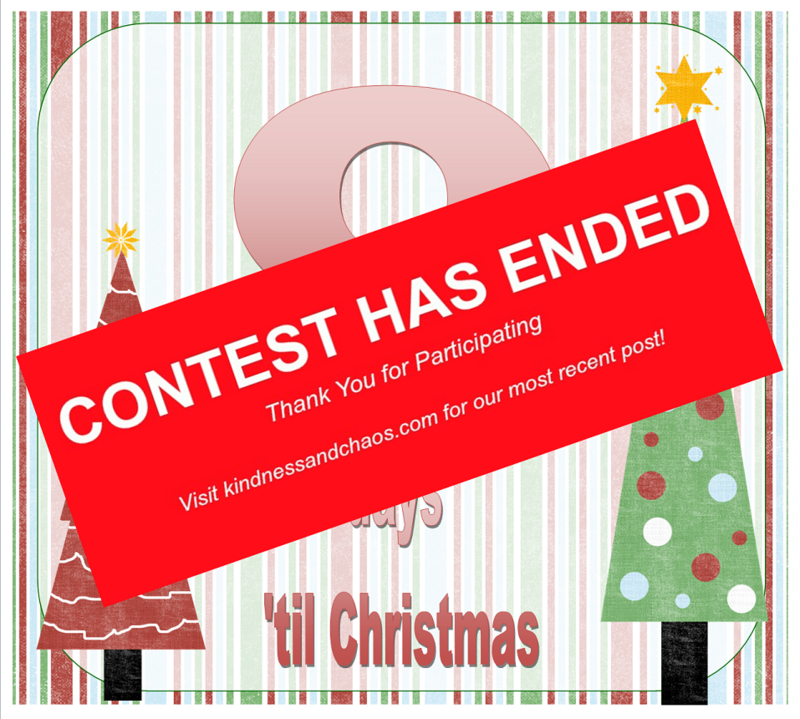 All day 12 winners have been notified and I’ll be working on day 11 and maybe even 10 today. Thanks for stopping by and joining the fun! Only NINE more days ’til Christmas! Wow! Y’all. Does anyone else here have an unhealthy obsession with chalkboards? I love that they are everywhere now! Chalkboard paint, signs, labels, jars & more! They can add such a personal touch to your home, package, or party. Plus, they are just so much fun! They do, however, make me envious of other’s handwriting! How does one get such perfect “font” onto your chalkboards?! There has to be a secret someone isn’t telling me. 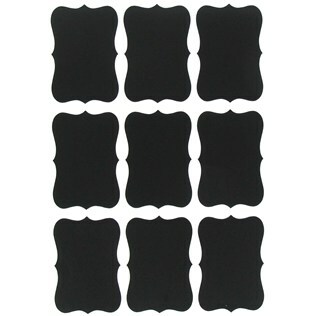 9 lucky winners will walk away with 4 individual chalkboard labels! 1 of those nine lucky winners will also receive this full size chalkboard (Roughly 8.5×11) and chalkboard marker. Girl! Use pencil first 😉 Always! birth of Jesus draws near! I have to use a stencil and ruler for any fonts!!! I’ve recently discovered that there is “liquid chalk” and stencils…I might have to cheat and use that from time to time! I’m looking at a pantry re-hab and there will be chalkboard labels on apothecary jars…oh yes there will! 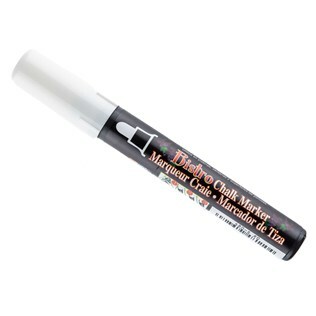 If you’re a “real chalk” junkie like me, you can dip the chalk in water before writing and it comes out so smooth and pretty! Why is my photo a Christmas tree…??? Probably because that is the photo linked to your gmail account?! Or wordpress, if you have it! White boards are so much easier to make pretty but chalk is just so classy. I never even thought of using a stencil before but that’s such a good idea. Chalkboards are fun! 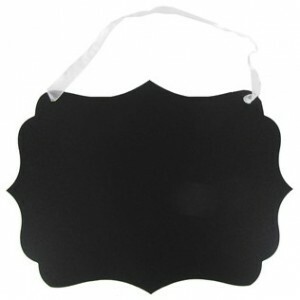 I remember in the 80’s I was so into chalkboards I remember decorating them and giving them as gifts. It was fun then and it’s fun now ! I like your blog Ashley! I am a big fan of chalkboards but like so many, I struggle with making the fonts cute! I think with practice and tips (like dipping your chalk in water first!!) I’ll get some photo worthy designs! I know! I never know that handy tip Fallon shared! I will have to try it. I’m kind of partial to my chalkboard markers though! Wow. You ladies have the best ideas. Who doesn’t love a chalkboard. I haven’t tried the markers but oh I will. A friend of mine redid her daughters room and made the closet doors into a chalkboard. Very cool. I have to redo my chalkboards like 56 times before I’m happy. The struggle is real.